January 31 was the deadline for controllers and controller teams to compete with their controlling solution for the prestigious “ICV Controlling Excellence Award 2018” by the International Association of Controllers (ICV). At the beginning of March the jury nominated three works for the Award ceremony on April 23 in Munich at Europe’s largest controlling conference, the 43rd Controller Congress: Brau Union Österreich AG, Linz with the project “KPI Framework in the Supply Chain of the Brau Union Österreich AG”, Robert Bosch GmbH, Division Powertrain Solutions (Diesel Systems), Stuttgart with the project “Big Data-Based Approach to Optimizing Net Working Capital at Bosch / Diesel Systems” and the Verband der Ersatzkassen e.V. (vdek), Berlin with the project “National Health Insurance Planning Tool as Controlling Solution of the vdek for Planning of the Financial Development in the Legal Health Insurance”. 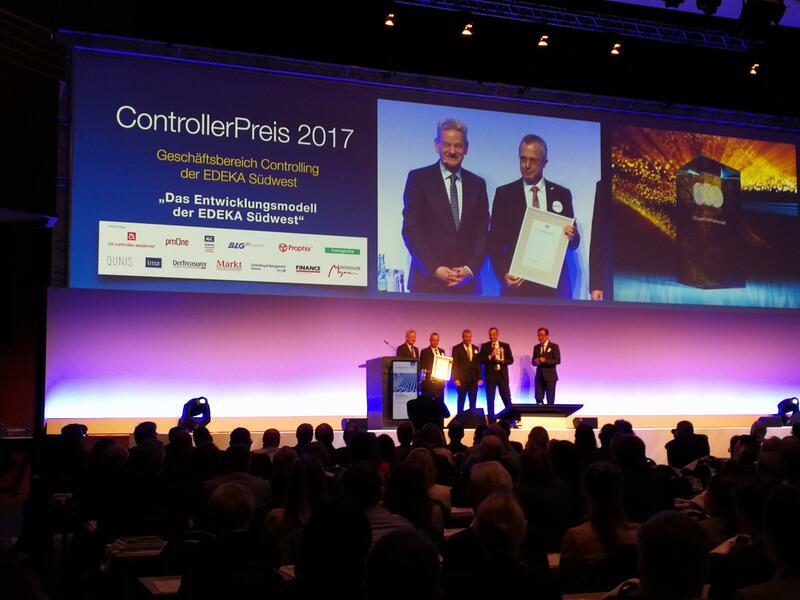 By jury vote the three nominees can now become successor of Edeka Südwest, which was awarded in 2017 with the “Controller Award” – in 2018 for the first time named “ICV Controlling Excellence Award”. The international jury is led by Prof. Dr. Dr. h.c. Jürgen Weber, WHU – Otto Beisheim School of Management, Institute for Management and Controlling (IMC) and Chairman of the ICV Board of Trustees. The jury decision was based on the common Mission Statement of the ICV and International Group of Controlling (IGC). An exemplary controller work is when controllers achieve a noticeable change, the solution is field-tested and this change does not only affect the controlling itself, but also makes the company more successful overall. The change must also be innovative and developed internally by the controllers. The ICV jury had a difficult task to fulfill, because the quality of submissions this year was higher than ever, reports Professor Weber. Among other things, the jury nominated a trend-setting solution from the field of “digitalization”, which is extremely topical for the entire controlling community. Another nomination concerns Supply Chain Management, an area with potential for growth. The nominated solution of the Ersatzkassenverband, predominantly designed by Barmer financial controllers, does not only have considerable financial significance for individual health insurance companies. A variety of other answers for the medium-term design of the entire health insurance financing system in the Federal Republic of Germany can be given. The award ceremony is a highlight of the annual Congress in Munich. The winner chosen from the circle of three nominees presents their work at the 43rd Controller Congress, on April 23, 10:00 a.m. in plenary session, to more than 600 participants – controlling experts, managers, consultants, university lecturers and media representatives. The nominated planning tool was commissioned by the Verband der Ersatzkassen (vdek) and introduced by Barmer as a joint project of all health insurance companies in Germany – Barmer, Die Techniker, DAK Gesundheit, Kaufmännische Krankenkasse, HEK Hanseatische Krankenkasse and hkk Handelskrankenkasse Bremen. The health insurance companies need a financial planning instrument. To do so there are no blueprints on the market, as the national health insurance system is very special. In addition, the individual cash planning must be flanked by planning financial development for the health insurance system, as this is the basis for the financial development of the individual insurance companies. This is exactly what the nominated solution offers. With the new health insurance system planning tool, the project team has succeeded in creating a tool and an overall process that incorporates almost all the information concerning the health insurance system in the Federal Republic of Germany. The central factor determining this is the cost-covering contribution rate to be paid by employees and employers in a medium-term plan. At the heart of the controlling solution are the completely new types of financial scoreboards, which comprehensively describe the financial resources of the entire system at key performance level in all areas. An important role in the overall process plays the technical know-how of the individual financial controller, who must analyze and evaluate all the data, and then process it with technical support. The health insurance system planning tool provides as a central information the cost-covering contribution rate for the health insurance system. This is then used primarily at the individual cash level to create short- and medium-term financial planning and to develop pricing strategies. In addition, the results are needed for policy discussions in the health insurance system as well as for an inter-association early warning system and individual-cash competition rules. Economic framework conditions are changing faster and faster, and controlling in the Powertrain Solutions Division of Robert Bosch GmbH is also facing the challenge of adequately adapting controlling methods and processes. In order to establish controllers as business partners in accordance with own controller mission statement, efficiency increases and a higher level of automation in the basic processes must be achieved. For these reasons, the Powertrain Solutions Division has developed a digitalization roadmap, which aims at the widespread use of Big Data tools in controlling by 2021. In addition to adapting the IT infrastructure, this required additional skills for controllers in dealing with Big Data. Finally, organizational adjustments were required in terms of long-term collaboration across cross-functional teams to analyze and manipulate results from Big Data applications. In order to gain experience with the use of Big Data and the resulting challenges in the practical example, a first project was started in 2017 with a Big Data & Analytics Tool. This has closed a hitherto existing gap in controlling in dealing and the associated working capital optimization by modern algorithms. As a result, the project has already uncovered conflicts of interest within working capital, analyzed viable potentials and recorded employee experience in working with BI tools. Based on the up-to-date, detailed data from the Big Data & Analytics Tool, Bosch Powertrain Solutions can now uncover potentials and, with the help of alert functions, react in a timely manner with the affected departments in case of deviations. With the transfer of the project to operations in 2018, the company is now taking an important step in this direction. The controllers, as business partners in Brau Union Österreich AG, want to increase the financial knowledge of their management partners and their departments and thus promote cooperation within the company, especially in the supply chain. For this purpose, a tool has been created with which all parties involved can recognize their contribution to the company’s success and identify management variables. This will further develop the understanding of financial data in operational areas. The KPI Framework is integrated into the governance cycle and thus a fixed component for controlling the supply chain at various levels. It’s not just the first report in the supply chain linking production and logistics metrics; rather, the supply chain now also has a clear representation of logical links between the key figures. As a result, cause and effect considerations per measure are possible and employees can understand their contribution to the company’s results. Everyone in the supply chain, from the SC director to the shop floor level employee, can benefit from this report and gain additional financial knowledge. The framework is used in most control-relevant areas of the supply chain. This applies to the entire value chain, from raw material procurement through breweries and stacking rooms to delivery to the customer. Through the continuous and cross-departmental use of the same key figures, a common language for performance control was found. There is a better exchange of knowledge between different departments and functions. Above all, the awareness of the importance of each individual contribution to the company’s success changed the attitude of the employees. This allows controlling to be more successful in its role as a business partner and to offer a more effective form of reporting. ICV CONTROLLING EXCELLENCE AWARD 2018: 43rd CONTROLLER CONGRESS, DAY 1, APRIL 23, 2018, 9:50 A.M.